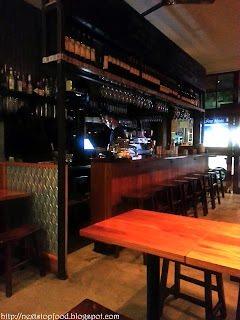 One Saturday evening, we decided to try out one of the many restaurants in Surry Hills without making any reservations. Gotta love this suburb filled with an immense variety of cuisines to choose from. Being a Saturday night, a lot of restaurants were jam packed with people and without reservations, we were told that at least an hour wait is necessary. We walked past Cafe Mint and was attracted by their menu and there was no queue so in we went! As I was quite hungry when we got to the restaurant, I decided to order the mezze plate. The hommus and babaganouj was packed with flavour, especially the babaganouj, the smokiness of the eggplant omg. I did not eat too much of the muhammra as my tummy is not friends with capsicum. 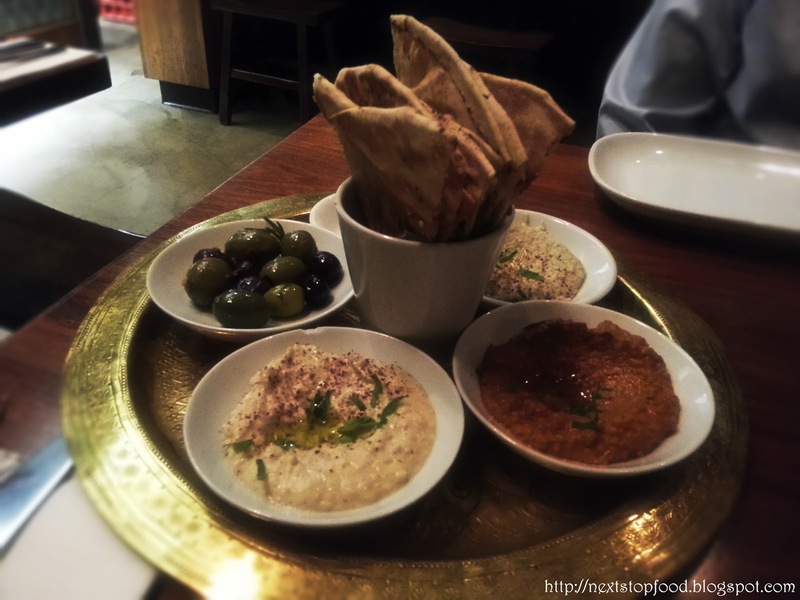 The za'atar bread was light and did not fill us up before the mains. The olives, my oh myyy, the marinade was amazing. 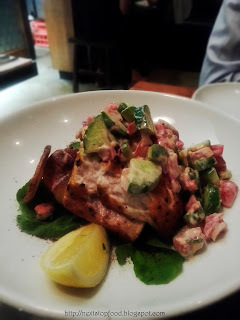 To be honest, I think I only like kingfish when it's raw or lightly seared. This kingfish was not overcooked but it leaves an odd texture in your mouth after eating it. 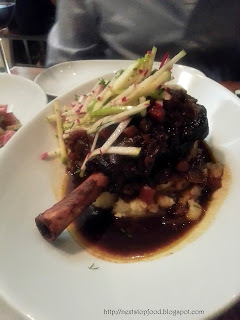 The salsa was refreshing and the crispy potato gave the dish an extra crunch. "WOAH, how on earth are we going to finish this amongst 2 people?" was our first response when the waiter brought us the tasting plate. I wish the waiter would have warned us about the amount of desserts on the plate, but it's all good since we got to try all their desserts. All their desserts weren't overpowered by their sweetness. I especially liked the chocolate cigars where the dark chocolate mousse was wrapped by a thin pastry. The cheesecake was too rich after such a heavy main but the pomegranate helped to balance it out a bit. The mullhalebia was refreshingly light with the wild berries. 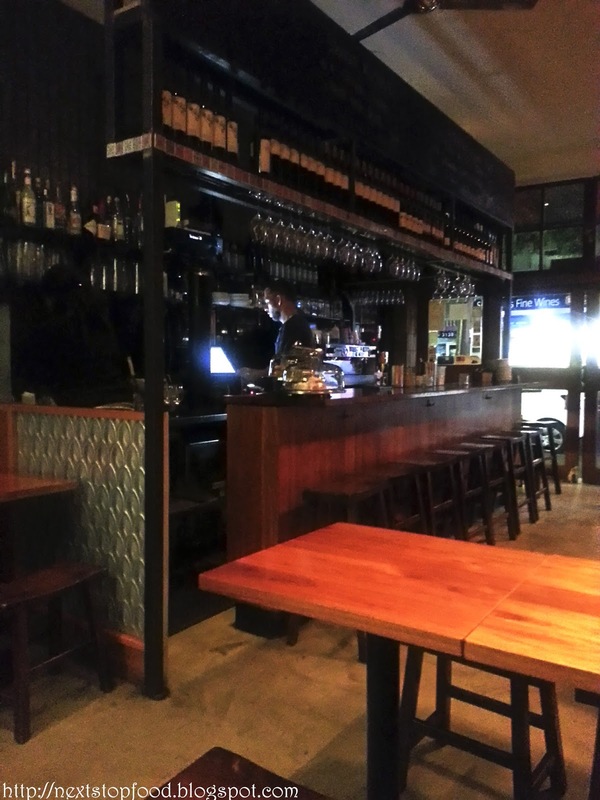 I love the ambience of Cafe Mint and their service was attentive. I would come here again to thoroughly enjoy their desserts with a lighter main dish and perhaps come with more friends! love the dessert tasting plate! hehe it was nice :) must come with more people next time to finish it! I like the sound of combining lamb shanks with prunes and fresh apple. Great combo! Yeh! how good is the combo :) the apples made a big difference to the dish! 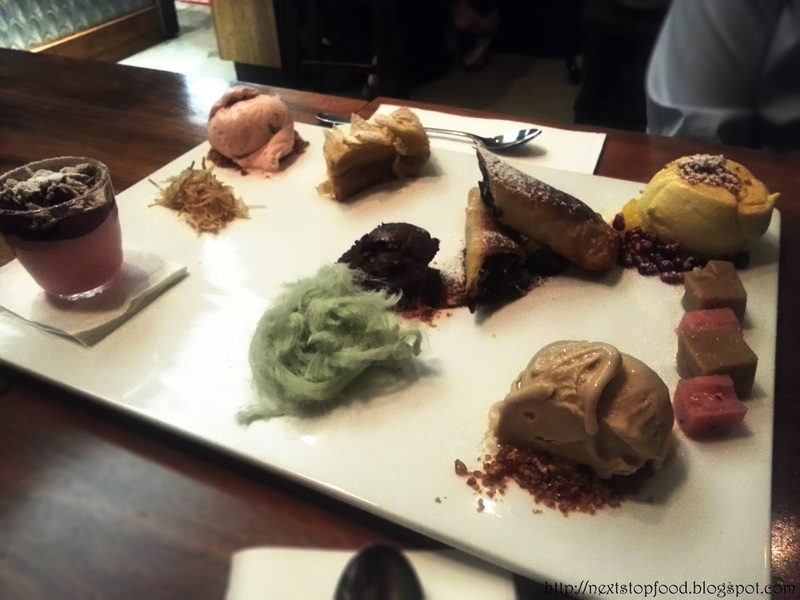 that dessert tasting plate looks amazing and fun to eat! mm i'm thinking of the chocolate cigars now!! that dessert platter looks fab!